Many of my clients ask me my opinion on calcium supplements for osteoporosis. To gain a better understanding on this important and many times, confusing, topic and to inform my clients and readers of this blog, I felt it best to turn to an expert on calcium supplements. While doing my own research on vitamins, I came upon ConsumerLab. I joined their online service and was very impressed with the detailed reports and reviews that accompany each product on their site. I reached out to the CEO of ConsumerLab.com, Dr. Tod Cooperman, and asked him if he could speak to you, my readers, about calcium supplements. He kindly agreed to an interview. In future blog posts, we might cover other supplements, foods and vitamins for osteoporosis and osteopenia. How Does your Body Deal with Too Much Calcium? What About Calcium Added to Food? Before we got into our discussion about calcium supplements for osteoporosis, I asked Dr. Cooperman, ConsumerLab’s CEO and founder, to describe ConsumerLab.com’s history and mission. ConsumerLab is a web service that evaluates consumer products related to health, wellness, and nutrition, specifically vitamins, minerals, foods and supplements. In 1999, Dr. Cooperman realized that consumers did not have access to reliable and independent information on the supplements that were available on the market. Around that time, reports in various newspapers showed that some herbal supplements were contaminated and certain vitamins did not have ingredients that they claimed to have. In response to this need, Dr. Cooperman hired a researcher from the Food and Drug Administration (FDA). Before joining ConsumerLab, this researcher tested supplements for the government. During our interview Dr. Cooperman noted that the FDA does not test many supplements and vitamins and, instead, relies upon the supplement providers to determine that they adhere to their own claims. The situation is largely the same for Health Canada. ConsumerLab.com buys supplements and vitamins on the open market, tests them in their lab and in specialized third party labs, and reports the results of the tests to their readership. Here is a summary of ConsumerLab.com from the National Center for Biotechnology Information. They buy the products in stores, from multilevel marketers, from healthcare professionals and online because that’s how people are increasingly buying it. ConsumerLab.com tries to purchase from the same channels as the consumer and in the same state that a consumer would get it. This is important because if a manufacturer sent ConsumerLab a product directly, it would be from some recently made batch from their facility. It is not going to reflect the kinds of things that can happen to supplements during transit to the end consumer. ConsumerLab has seen issues with supplements and vitamins that they test because of the distribution system. For example, probiotics that are kept in a warehouse at a high temperature for an extended period would, over time, lose the viable organisms that they contained originally. ConsumerLab decided in 1999, when they started, that because there were so many different products to test, composed of so many different types, it made more sense to use laboratories that just focus on specific tests. For example, the company uses laboratories that do heavy metal testing and other laboratories that test for oils. A fish oil, for example, may go to one laboratory for the heavy metals contaminant test and to another for the PCB contaminant test. The fish oil might another lab for the omega-3 levels, EPA and DHA, and yet another lab for rancidity or freshness. In-house, ConsumerLab does one basic test: the disintegration of tablets. This test needs to be done in so many different products that they evaluate. They constantly evaluate the quality of these laboratories and make sure they’re doing it right. If they find a problem with a supplement or vitamin, they send it out to another laboratory for confirmation before they publish those results. They want to make sure they have it right. ConsumerLab has tested over 5,000 products since 1999 and has never been sued because they make sure that their information is correct before they publish it. ConsumerLab has over 80,000 subscribers including individuals, libraries and institutions through the United States, Canada and the rest of the world. The company is funded by their 80,000 paid subscribers. Every three weeks ConsumerLab puts out a report on either a supplement, vitamin or a health food. For example, ConsumerLab recently released a report comparing canned tuna to canned salmon. The report looked into omega-3 levels and contaminants, including mercury that are in these products. Another recent report covers glucosamine and chondroitin supplements and Boswellia. I asked Dr. Cooperman to comment on algae based calcium supplements, specifically the product AlgaeCal. A number of my clients have asked me about this calcium supplement and I thought it would be good to Tod’s perspective given that they have tested AlgaeCal. ConsumerLab has tested AlgaeCal on at least two occasion. Most recently in 2017 and earlier than that, in 2015. ConsumerLab has not found toxicity with this product. What they have found is that AlgaeCal has had higher levels of lead than they consider acceptable. ConsumerLab is using some of the most stringent requirements in terms of purity. For example, California is the only state in all of the United States that has a limit on the amount of lead that should be in per daily serving of a supplement per day. The limit is very stringent at 0.5 a microgram of lead per day. ConsumerLab applies that to the supplements they test. They do give some leeway on this limit. If a product contains minerals like calcium and magnesium (as AlgaeCal does), ConsumerLab gives it a little more leeway because minerals may inherently have some type of contaminant in them. But even with that, in 2015, AlgaeCal actually failed their test for lead limits. Dr. Cooperman believes AlgaeCal had about 5 micrograms per daily serving at that point. ConsumerLab tested AlgaeCal again in 2017 and found less lead— it contained between 1 and 2 micrograms of lead. That’s really not a toxicity issue at all for an adult. However, it is better to avoid lead altogether. As the FDA says, there is no safe level of lead and if you’re going to go out and buy a supplement, you may as well buy one that’s as pure as possible. Lead accumulates in your bones. It replaces other minerals in your bone and you can store it up. ConsumerLab found that AlgaeCal was a little low in one of the minerals and a little high on the lead. I asked Dr. Cooperman about his evaluation of calcium supplements and provide some pros and cons of calcium supplements. Dr. Cooperman stated that if you’re getting calcium from your diet in sufficient quantity, you do not need to take a calcium supplement. Food is definitely the way to go to meet your calcium goals and most people are able to meet that target with food. Food sources for calcium include milk, yogurt, kefir and Chinese greens. (Although there is some scientific debate about milk as a calcium source — often pointing out better non-dairy alternatives). In her blog post on a Calcium Rich Diet Plan, Nancy Robinson identifies several non-dairy foods that are rich in calcium as black molasses, tahini, navy beans, figs, dates, dandelion greens, and kale. Other calcium sources such as collard greens, broccoli, sardines, and shrimp are examples of calcium rich foods. However, if you are going to turn to calcium supplements for osteoporosis, there are a few things you need to be aware of. First, you can’t absorb more than 500 milligrams in a calcium dose at a specific time — so there’s no point in taking more. The beauty of getting calcium from food is that you’re absorbing it more slowly. With a calcium supplement you are suddenly getting this huge dose of calcium into your blood. Your body may not know what to do with the calcium dose other than maybe stick it into plaque somewhere in your body. Keep calcium supplement use to a minimum if you can. And this leads to the second point. Second, people who take higher calcium doses have increased risk of various vascular issues, including stroke. A 2008 Auckland study of 1,471 postmenopausal women (average age 74 years old) demonstrated an elevated risk of cardiovascular problems with the use of calcium supplements (1). Dr. Cooperman suggests keeping calcium supplement intake lower than 500 milligrams. Try to stick to 300 milligrams or so per dose because you don’t want that huge amount of calcium all of a sudden hitting your body. Third, don’t expect to get calcium from a multivitamin because calcium is a very bulky mineral in terms of the amount that you need. You need hundreds of milligrams per day versus say, zinc or iron, where you’re talking about single digits. The manufacturer is not going to be able to fit enough calcium into a multivitamin unless it’s very bulky. You typically take calcium as a separate supplement because of the amount of calcium required. Studies demonstrate that there is an association between calcium supplement use, especially higher amounts, and stroke. The evidence shows that calcium can be a problem if you’re taking too much from a supplement. You don’t see that problem when you’re getting calcium from food, even for people who eat a ton of calcium from food. Again, Dr. Cooperman suggests you minimize calcium supplementation. If you need to turn to it, keep it at a moderate amount per serving and ultimately per day. Certain Foods Naturally Have Calcium and Other Foods Have it Added. Are They Considered Equal? No. They are not the same. For example, orange juice with added calcium is the same as taking it from a supplement. I asked Dr. Cooperman would he recommend calcium citrate or carbonate for osteoporosis. He stated that calcium carbonate supplements are fine to take. However, if you have less acidity in your stomach, as some older people do, it may be harder to absorb calcium carbonate. In that case, calcium citrate is often recommended. If you’re going to choose one, probably a calcium citrate is a better form for most people. The only downside with calcium citrate is it’s even more bulky than calcium carbonate — meaning you need to take bigger tablets. Unfortunately, you often see a company that has one form of a supplement trying to make it sound like the other forms are terrible. All these forms will give you calcium, you just might be a little better off with the calcium citrate if you are older. ConsumerLab tested dozens of calcium supplements and their top pick is a calcium citrate supplement. ConsumerLab found during its examination of calcium supplements that the cost of one supplement compared to another can vary considerably. For example, they found that the high-quality calcium citrate supplement that they recommended cost about four cents for 500 milligrams. In other words, you can get your calcium for pennies per day. At the other extreme, they found a food based calcium product to be $2.52 for 500 milligrams of calcium. In general they can’t say one brand is always better than another. The supplement you choose is very product specific. However, they point out that you can often get a very good supplement at a very low cost from some of these big chain stores that are out there because they usually push their suppliers very hard. You don’t have to spend a lot to get a vitamin or a mineral supplement. Usually, you can get them for pennies per day. ConsumerLab not only tests the products but tries to help people figure out where’s the best value with these supplements. I asked Dr. Copperman about the absorption of calcium from supplements. There are two parts to this discussion. The first has to do with the way calcium binds to either the carbonate or citrate. The calcium in a calcium supplement is linked to the citrate or to the carbonate. That bond has to be broken before you can get the calcium free so your body can absorb it. Second, there is competition for absorption when you take calcium with another mineral or vitamin. Calcium, just because you’re taking so much of it (often in the hundreds of milligrams versus single milligrams for other minerals) will compete with those other minerals. The minerals that are at the lower dose are going to lose out (usually to calcium because it is frequently the higher dose mineral). How should you deal with this competition between minerals? You need to be mindful of that when you’re taking calcium supplements. If you’re taking another mineral that’s at a lower strength dose, you’d probably want to take it at separate times a day, at least, two, three hours apart. Health professionals recommend you take Vitamin D with calcium. You want to take Vitamin D with a fatty meal. This does not matter for the calcium, but for Vitamin D, it certainly does. Did you know that you can increase your absorption by up to 50%, by taking it along with a fatty meal? That’s because Vitamin D is a fat soluble vitamin. The actual reason for that is if you’re eating a fatty meal, it’s stimulating bile production, and the bile is what you need to break up that fat so it can be absorbed. By taking Vitamin D with a fatty meal, you’re getting an injection of bile into your gastrointestinal (GI) system and that bile is then going to allow for that Vitamin D to be absorbed better. Some people think it is effective to take their Vitamin D with a fish oil capsule because it has some fat in it, but that’s not enough. Taking Vitamin D and a fish oil capsule at the same time is not going make a difference. You really want to get your juices flowing a little earlier and then take your Vitamin D after a meal or during a meal. You need a decent amount of oils, not just one little capsule to get the full benefit of that. So it’s better to take it with a meal. Finally, you can certainly take calcium and Vitamin D together. There’s no interaction. One is a fat-soluble vitamin, the other one is a mineral. Basically, minerals interact with minerals and fat-soluble vitamins interact with fat-soluble vitamins. Vitamin K2 plays an important role in the maintenance of bone and prevention of osteoporosis. You don’t want to take Vitamin K when you’re taking Vitamin D. Vitamin K will lose out, to Vitamin D and there have been studies showing that. With the fat-soluble vitamins, again, if you’re taking a lot of one, it can compete with another. It doesn’t mean you won’t get any of the other one, it will just decrease it. People take multivitamins all the time with all these different ingredients. It’s not the ideal way to take it, but it is certainly a convenient way to take it. During some tests, ConsumerLab encounters things in supplements that are added and can cause surprising interactions. For example, some supplements have been found to have an ingredient in a lactate form. That is going to end up as lactose in your gut and, if you are lactose intolerant, that could be an issue. I asked Dr. Cooperman several questions about elemental calcium. Clients often tell me that their doctor has told them to look for supplements that state the amount of elemental calcium and I wanted to get a better understanding of this term. Dr. Cooperman explained that there should be a supplement facts panel on the packaging of the supplement. For calcium supplements it should say “calcium”, then in parentheses it should state “from calcium carbonate”, or “as calcium carbonate”, or just “calcium carbonate”. Then it should show the amount, such as 300 milligrams. This is saying that you’re getting 300 milligrams of calcium from calcium carbonate. Occasionally, a manufacturer may mislabel the amount of calcium in their supplement. The package might say 600 milligrams, but what they’re really talking about is the total amount of calcium carbonate or calcium citrate. As a result, with this product, you’re really only getting a fraction of that as calcium. Let’s say a supplement is made from calcium citrate. Chemically, only 21% of calcium citrate is actually calcium, the rest is citric acid. Because the citrate part is most of the weight of the ingredient, a product that contains 600 mg of calcium citrate actually provides only 126 mg of calcium. It should be labeled as “Calcium (from calcium citrate) 126 mg” rather than listing the 600 of calcium citrate. In the majority of supplements, all the recommendations are based on the elemental calcium. The term “elemental” means just the calcium. Minerals are often unstable and need to be bound to another mineral that’s going to keep it stable, so it is unlikely that you will find a calcium supplement where it is only calcium. The calcium will like be bound to either citrate or carbonate. Dr. Cooperman recommends not to disregard a product because it doesn’t have the words elemental calcium. Don’t look for the word elemental on the label or the facts panel. Just make sure that it says calcium and then in parentheses, whatever the form is, and then the amount after the parentheses. That means they’re referring to the amount of actual calcium or just calcium or elemental calcium that’s in there. 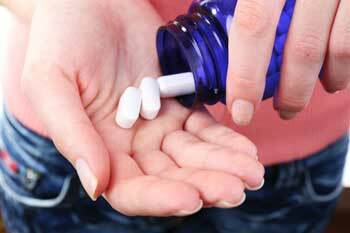 Liquid, Tablet or Chewable Calcium Supplements? I asked Dr. Cooperman about the best form of calcium supplement he recommends: if there is a difference between taking calcium in liquid form versus chewable calcium supplements versus solid form. Does he have a preference based on bioavailability or otherwise? Dr. Cooperman stated that if it’s a well-made tablet, it will be perfectly fine and it will just as good as taking it as a liquid. It might take a few minutes longer to disintegrate so that you can absorb it, but it should be perfectly fine. You don’t need to take it as a liquid. If you have trouble swallowing pills, take it as a liquid. He did note that ConsumerLab tends to find more quality issues with liquids than tablets, for some reason. From time to time, less than 5% of the time, maybe they will find a tablet that really won’t break apart properly. Thank you for your continued resource of such valuable information. Thank you for presenting this information supplements in such clear, concise manner. Extremely helpful advice. Hi Sue: You are welcome. Thanks for the kind comments. Hi Trish: You are welcome. Thanks for the kind comments. I have only received the first and second parts of your course and the rest never arrived. Thank you for sharing so much of your knowledge. Do you have anything to say about algae-cal brand and their claim of having done studies? Hi Hossanah: Please check your SPAM filters. The emails are likely in there. In the meantime, I sent you the lectures to your email address. I cannot find other studies on-line, except Consumers Guide, that say to take vitamin K2 and D separately. Thank you so much for compiling all this information; I have found scores of websites and programs dealing with osteoporosis, but yours is the best! Hi Pat, Thank you for your high praise. My goal is to keep you and others safe, strong and empowered. You mentioned AlgaeCal what about New Chapter Bone Strength? I take the tiny tabs and take only 3 tabs twice a day to lesson strength of mg. Per day. I do not see the New Chapter Bone Strength brand (although I see many other brands). Perhaps you can ask the people at ConsumerLab to include your brand in a future test? Thank you for this valuable information. Did ConsumerLab do a study on Osteo-K Bone Support? This product was developed by physcians from Harvard, Cornell, MIT and Baxter. I do not see the product you mention. Seems like there are more calcium supplements on the market than anyone can keep up with! If I felt it essential that I use a calcium supplement, I would use the ConsumerLab test results and choose the best from that list instead of using a brand not on their list. Whether your calcium supplement is tainted or not, I can’t say. But I would like to know what I am putting in my body. Best of luck! That was an excellent interview/discussion. Thank you so much for all your help in the crazy world of confusing information. Hi Deb: Thanks for the kind comments. We reached out to Dr. Cooperman because the whole area is, as you say, very confusing and he had completed an independent third party review of calcium supplements. happy to hear that you found the content useful. Thank you for this piece. Calcium is always a difficult topic for me to understand since in the past I have been advised by my physician to take Calcium in amounts of 1200-1500 per day. I shudder to think what this may have done to my system!!! Osteoporosis and osteoarthritis and two common conditions of the spine as we age. Both benefit from movement and keeping the muscles of the back strong. I am glad that the article helped to clear up some of the confusion around vitamins and minerals. I too learned from doing the interview. Please do not think that you are falling apart. Many of my clients around your age finally have the opportunity to think of themselves for the first time. You, like them have likely put family and work first for the last few decades of your life. The compression fractures is your body’s call out to you to prioritize yourself. Make time to exercise daily, eat well and do something special that you enjoy (exercise can count as one). You are only 62 years young. Great article – I have shared this info with friends. Question – although it is recommended for people with osteoporosis to supplement their diets with calcium ( my doctor said 500 mg a day), if we are getting the 1200 mg a day from diet, do we need supplements. Dr. Cooperman recommends getting your calcium from diet so why just because we have osteoporosis do we need supplements if we are getting enough from diet? Hi Pam, The recommendation is not to supplement your diet but rather to ensure you are consuming a sufficient amount of calcium and other important nutrients. You do not need any supplements if you mange to get your calcium through your diet. Thank you for this very clear article. I have been taking K2 for about a year because I had been reading about it’s role in bone production. Your article made me realize that I was unaware of the interaction of K2 and Vitamin D! Is the recommendation that I take Vitamin D at a different time of day from the K2 or not take any Vitamin D at all. THANK YOU! Hi Bobbi, You are very welcome. Thank you for taking the time to express your appreciation. Margaret, thank you for the interview. It’s very informative! This is the first time I learn that D and K should not be taking at the same time. I brought D and K in separate bottles, but I have been taking them at the same time for over a year. Do you know how far apart of time should be sufficient? 1/2 hour? Hi Shirley, Since vitamin D and K are both fat soluble vitamins you absorb more of the Vitamin if you consume it with a fatty meal (avocado, olive oil, high fat yogurt…). I do not know what the length of time should be but the longer the better. I have gotten into the habit of taking one with lunch and the other with supper. Hope this helps.